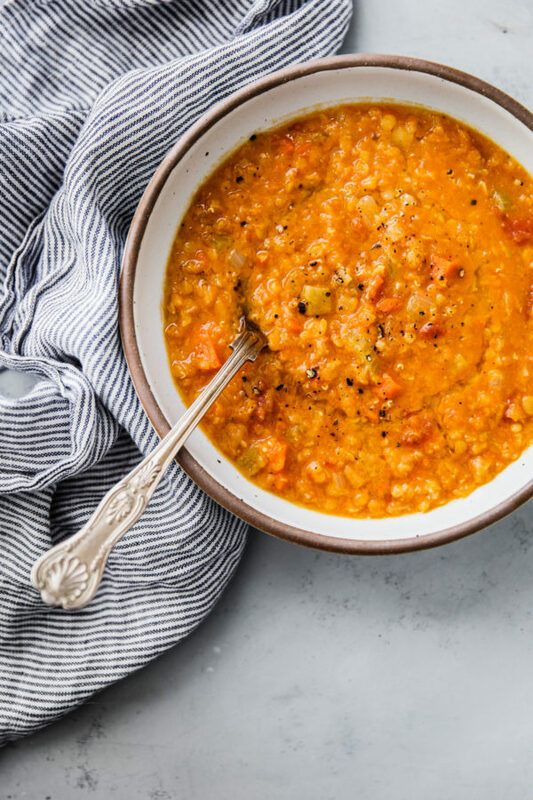 This hearty red lentil soup is made with simple ingredients like onions, leeks, carrots, celery, crushed canned tomatoes, and red split lentils. A delicious (naturally gluten free and vegetarian friendly) soup that will quickly become a weeknight favorite! Happy New Year! I’m back after taking a few weeks to enjoy the holiday season with my family, organize my workspace and brainstorm my goals, and take care of a few things that kept me from producing content for this space (hello, camera repair!). 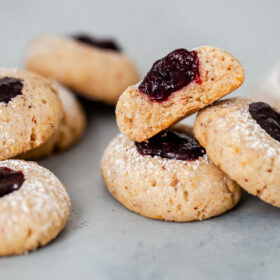 With that said, I’m excited to bring you my first new recipe of 2019! It’s a really good one. This red lentil soup recipe was developed through pure necessity. The fridge was bare, with the exception of a few celery stalks, carrots, leeks, and some leftover crushed tomatoes, and I had zero desire to head to the grocery store. A quick glimpse into my pantry confirmed that I had onions, chicken broth, and some of my favorite red split lentils on hand. Red lentil soup, coming right up! I’m convinced that improvisational cooking can lead to our best creations. 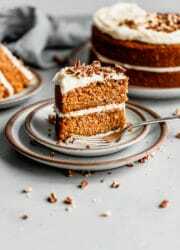 Many of my favorite soups, including this carrot soup recipe, have come about due to a similar predicament. The resulting soup was so tasty that I took note of the ingredients, re-tested it, and am sharing the recipe with you today. From start to finish, this soup takes about an hour to prepare. 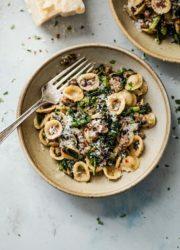 The ingredient list is relatively short, and you’ll find everything you need at any generic grocery store (including Trader Joe’s, love that!). This soup is hearty, nutritious, flavorful, and best of all, easy to make. It has a lot of sticking power and tastes like something that has been stewing for hours. To add flavor, I always like to add parmigiano-reggiano rinds to soups. 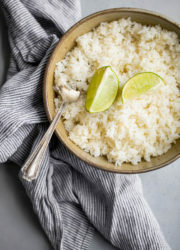 They add so much flavor during cooking and it’s a wonderful way to utilize them. If you don’t have any, feel free to leave them out. 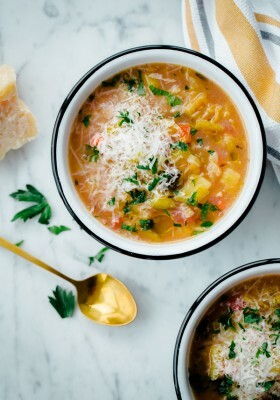 Paired with salad, a crusty slice of bread, or simply enjoyed on its own, this soup makes for a delicious dinner, particularly during these colder winter months. I have a feeling I’ll be making it all season long! Red split lentils are my all-time favorite lentil to use in homemade soups. I also use them in this slow cooker winter vegetable soup, which many of you love and make regularly! 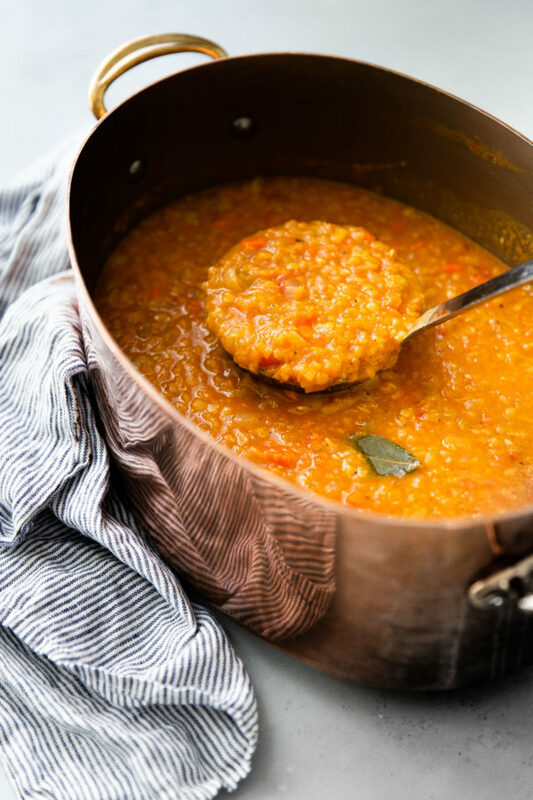 Unlike other types of lentils (such as French Puy, green, black, and some brown lentils), red split lentils are hulled and, therefore, cook extremely quickly and begin to break down and disintegrate during the cooking process, which I love! They produce extra thick, hearty soups, and become almost creamy in texture. 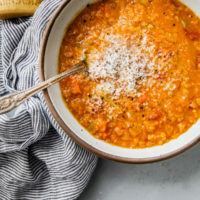 This quality makes them a poor choice for salads and other preparations where you want the lentils to retain their shape, but makes red split lentils a perfect candidate for soups, dhal, stews, and pureed dishes. Before using lentils, they should be rinsed under cold water (a fine-meshed sieve is perfect for this!) and picked over to ensure there are no small stones or rocks. 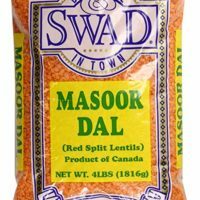 Shopping Note: Red split lentils sometimes go by the name of ‘masoor dal’ and range from orange to more golden yellow in color. Since they are hulled, they are thinner in shape than other lentils. 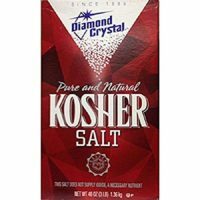 They are available at Trader Joe’s, bulk sections, and most generic grocery stores. 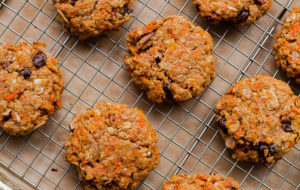 Red split lentils, like all other lentils, should be stored in a cool, dry place. Lentils generally have a shelf life of about a year. Older lentils have a tendency to dry out and can take significantly longer to cook (and can sometimes never break down properly), so try your best to avoid storing them for too long. Red split lentils should cook through in 20 to 30 minutes. Just before serving this soup, I take an immersion blender (this one is my favorite, affiliate link) and puree a very small portion of this soup directly in the pot. 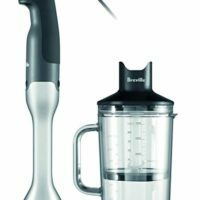 If you don’t have an immersion blender, you can transfer a large ladleful of soup to a small food processor or blender, puree until mostly smooth, and then transfer it back into the soup. I use this trick for most soups, particularly bean or lentil soups, because it add heft to the broth and lends a certain ‘creaminess’ to the final texture. You can certainly skip this step, particularly for this soup as the lentils break up quite a bit on their own, but I like doing it all the same. To reduce prep time, feel free to chop your vegetables (and store them in separate containers in the refrigerator) a day or two ahead. Any leftover soup can be stored in an airtight container in the fridge for up to 5 days. 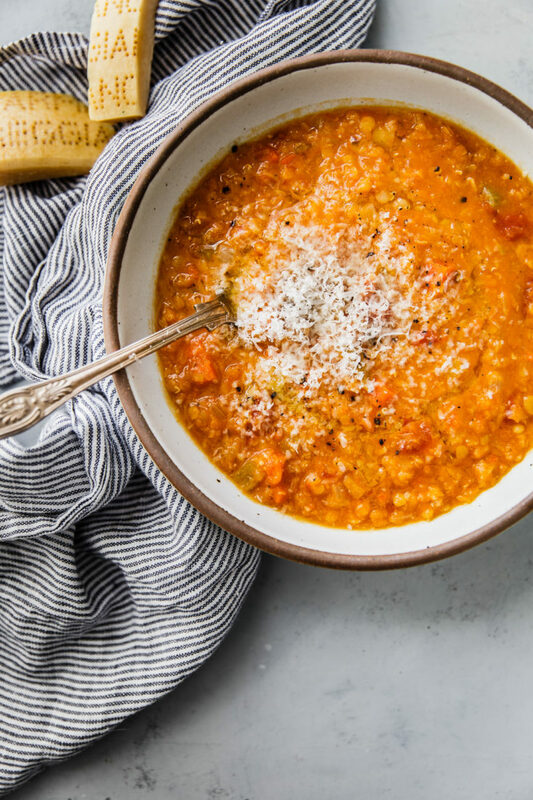 Like most soups, this red lentil soup can also be frozen for another time. Transfer the cooled soup to freezer-safe containers and freeze for up to 4 to 6 months. Allow the soup to thaw completely in the fridge and reheat over the stove, adding additional broth or water if necessary. 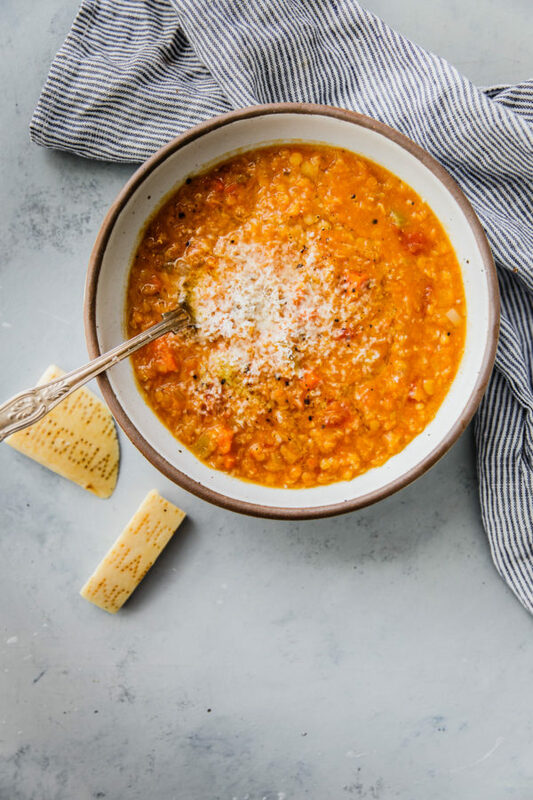 This red lentil soup is one of my all-time favorite dinners. Sautéed leeks and onions are combined with carrots, celery, crushed tomatoes, chicken broth, and red split lentils (which cook quickly!) 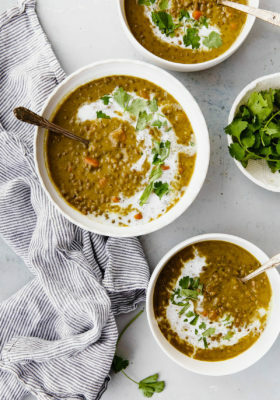 to produce a hearty, thick lentil soup that is naturally gluten-free, nutritious, and filling. This soup tastes even better as leftovers and can be frozen and prepped ahead. In a large soup pot, melt the butter and extra virgin olive oil over medium heat until lightly bubbling. Add the onions, leeks, and generous sprinkling of kosher salt, and sauté, stirring occasionally, until the onions and leeks are soft and translucent in color, about 10 to 15 minutes. I place the pot lid on askew, to help trap moisture and ensure the ingredients sweat, soften properly, and don't gain too much color. Add the carrots, celery, and garlic, stirring occasionally, for about 3 to 4 minutes. Continue seasoning the soup lightly with salt and pepper as you add the remaining ingredients. Add the lentils, crushed tomatoes, parmigiano-reggiano rinds, bay leaves, and chicken broth. Stir together and bring to a boil. Reduce the heat to medium-low and slowly simmer, uncovered, for about 30 to 40 minutes, stirring every 10 minutes or so, or until the vegetables are tender and the lentils have cooked through and broken down quite a bit. The soup should be thick and hearty. Blend a small portion of the soup with an immersion blender (or transfer a large ladleful of soup to a small food processor or blender, and puree until roughly smooth). This step is optional, but creates a wonderful texture. Season the soup with salt and pepper to taste. If it tastes at all flat, feel free to add a small squeeze of lemon juice (however, I like it just as it is!). Before serving, remove and discard the bay leaves and parmigiana cheese rinds. Serve hot. Garnish with freshly grated parmigiano cheese, if desired. 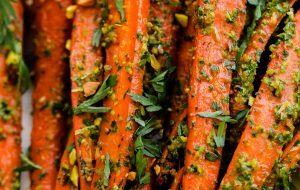 Older lentils tend to dry out and might take significantly longer to cook.Try to find a bag at the grocery store or choose them from a bulk bin that gets refreshed often (i.e. not the bag of lentils that has been sitting in your convenience store for three years on the top shelf). 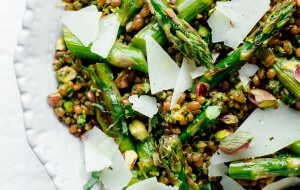 Make Dairy Free: Substitute the butter for extra virgin olive oil, and omit the parmigiano rinds. Make Vegetarian: Use vegetable broth in place of chicken broth. Please note that these nutritional calculations are a rough calculation. Beautiful photos love that copper pot where is it from?! Thanks Betsy! It is a Mauviel 6.75 quart oval pot, I got it during my recent trip to Paris, France last spring. I absolutely love it. I keep it on display in my kitchen daily, and it is a dream to cook with. Delicious! one of my favorite soups! Do you recommend these lentils? I haven’t tried these particular lentils, but it’s a cheap affordable (well reviewed) one from Amazon. I would just buy Trader Joe’s or the bulk ones at Whole Foods if you’re buying from the store. Loved this! Didn’t have leeks so I used green onion as a substitute. I loved how thick it was after putting it into the food processor. Will definitely make again! Thank you. So thrilled to hear that you enjoyed it Maria!!! Green onions could totally work. Alternatively, you could always just add another regular onion too, but I love the addition of flavor that leeks provide. 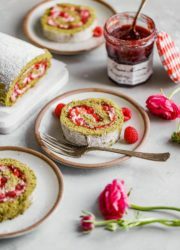 This is truly delicious, I usually tend to adjust recipes to my taste but I followed this to the letter and is perfect. Thanks for sharing. So thrilled to hear that Gabrielle! Thank you for taking the time to leave a review! I made this soup for my family and they loved it . It is great soup on days when we are vegetarian. I skipped the cheese . It was very tasty . 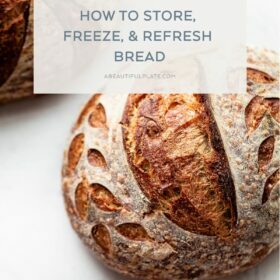 I love all your recipes, illustrations and prep is relatively easy. Your website has been great find for me . I can’t wait to try the other recipes.